Orange Coast Fence is one of the most experienced and committed fence contractors in Orange County. 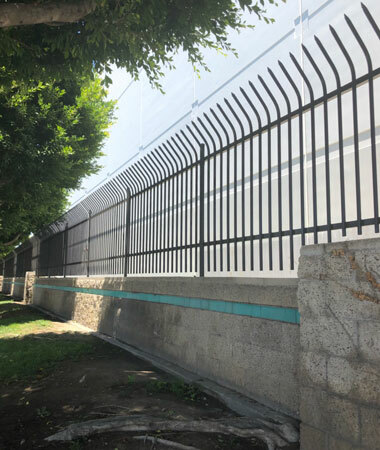 Since 1984, our third-generation, locally owned fence company has served the fencing needs of thousands of satisfied commercial, industrial and residential clients throughout Santa Fe Springs, Westminster, Garden Grove, Anaheim, Santa Ana, Huntington Beach, Orange, and surrounding cities. We specialize in designing and constructing high-quality wood, iron, and chain link fences and gates to meet the specific needs of our clients, whether they are looking to delineate their property, create interior walls within a warehouse, keep outdoor equipment secure, or deter trespassers. We also offer affordable fence repair services, such as replacing posts or entire sections of wood, chain link, or iron fencing. Call today to learn more or to schedule an on-site consultation. Our fence quotes are always competitive, but we can also develop solutions to help you achieve your goals while staying within your budget. We are fully licensed and insured, and stand behind our workmanship with a one-year warranty. Orange Coast Fence Company offers expert chain link fence installation for clients throughout Santa Fe Springs, Westminster, Garden Grove, Santa Ana, Anaheim, Garden Grove, Orange, and the surrounding area. 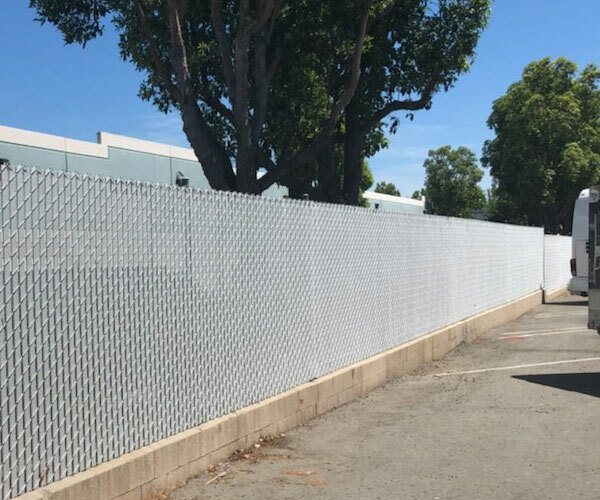 Because our chain link fencing is durable, versatile, and cost-effective, it has been used in a wide range of commercial, industrial, municipal, and residential applications. We can custom design and install a chain link fence to create a perimeter fence, dog run, trash enclosure, tennis court, backstop, pool fence, rolling security gate, and more. Options include 9 gauge and 11 gauge, galvanized or vinyl-coated chain link. Our vinyl coated chain link comes in five colors: green, brown, beige, black, and white. We also offer privacy slats, razor wire, and barbed wire for added security. We back our chain link fences with a one-year warranty. With more than 30 years of experience, a highly experienced staff, and a commitment to quality craftsmanship, we are the best fence contractor in Orange County to hire if you are looking for a qualified company to install an iron fence at your home or business in Santa Fe Springs, Westminster, Garden Grove, Orange, Anaheim, or other nearby area. In fact, we specialize in the design and construction of iron fences and gates for residential, commercial, and industrial applications. 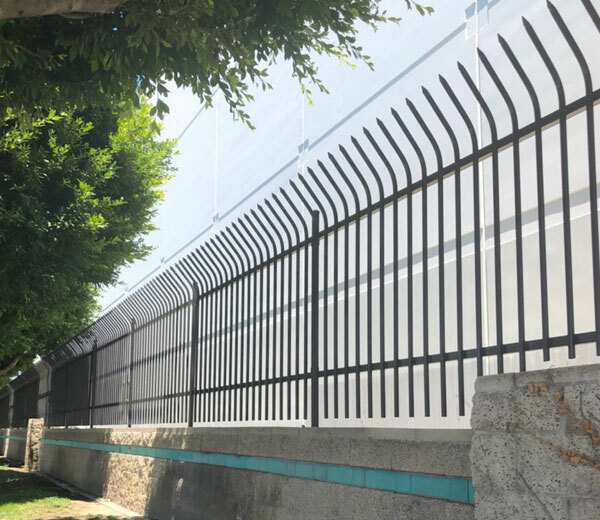 Whether you need a code compliant pool fence for a gated community in Westminster, or a hard-to-scale, intimidating perimeter fence, our team has the knowledge and skill to ensure you get the iron fence that meets your aesthetic preferences, functional needs, and allowable budget. Call today, and we can set you up with a free onsite consultation with our owner who has been in the fencing business for over 40 years. 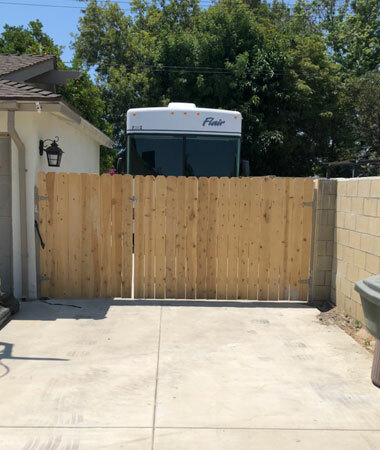 If you are looking to install a wood fence at your home or business in Santa Fe Springs, Westminster, Garden Grove, or other nearby city in Orange County, Orange Coast Fence is a great choice. We will make sure you get a well-built wooden fence that matches your vision for an affordable price. Having installed thousands of fences since 1984, we've become known for our quality craftsmanship, durable fences, and skilled staff. These qualities are particularly important when selecting a wood fence company because wood fences and gates are almost always custom built. While other wood fence companies might take short cuts or use substandard materials, our installers prefer to work with professional-grade cedar boards and redwood rails, as well as stainless steel posts to protect the wood fence against rotting, and always apply the industry's best practices for design and construction. Additionally, because we want every customer to be completely satisfied with our services, we will also take care to clean up after ourselves, work efficiently, and stand behind our wood fences and gates with a one-year warranty. Call today to schedule an onsite wood fence installation consultation at your property in Westminster, Santa Fe Springs, Garden Grove, Tustin, Orange, Anaheim, or other nearby city. 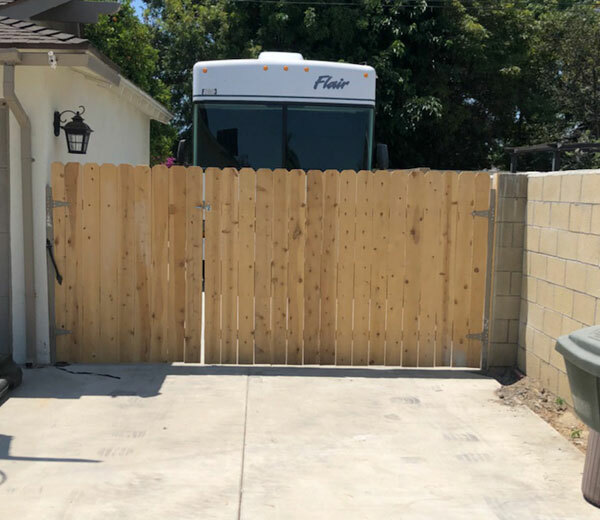 Whether you are looking to protect outdoor equipment from thieves or discourage trespassing, Orange Coast Fence can design a fence and gate to meet your specific security needs. For a residential client, we might install a wooden board fence that's difficult to scale and able to provide complete privacy. For clients that might be looking for a more intimidating fence, such as a business needing to keep valuable inventory secure, they can opt for a chain-link fence with razor ribbon or barbed wire or an iron fence with shepard hooks or sharp pickets. To help you determine which type of security fence will best meet your needs and budget, call and schedule a free consultation with us today. 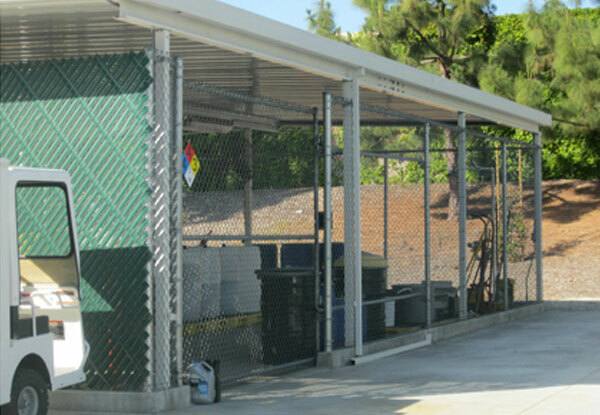 This chain link equipment enclosure in Orange was custom designed for a local hospital. It features rust-resistant professional-grade 9-gauge galvanized steel chain link and heavy-duty steel hardware. 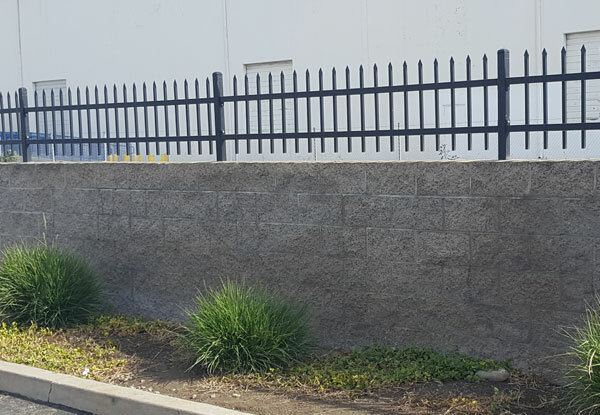 This Aristocrat style tube steel fence in Santa Ana was installed on an existing block wall to enhance security for an industrial property. Our experienced fence installers can custom design iron fences to complement existing architecture.